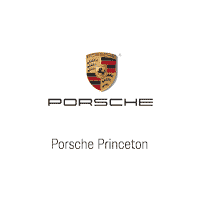 Porsche Princeton is a certified and trusted Porsche dealership. Since our inception, we have served a wide range of drivers throughout Lawrence Township and Princeton’s surrounding areas. Our modern dealership offers a comprehensive range of Porsche vehicles, including brand new and pre-owned units. To ensure that our vehicles are affordable, we provide stellar auto financing for our valued clients. We own a well-connected finance center that is run by experienced finance experts. When you choose Porsche Princeton, you can expect to be served by experienced Porsche ambassadors who are passionate, friendly, and knowledgeable. You will be pleased to know that we also offer an exclusive Porsche vehicle design and fitting lounge for custom tailoring. Porsche Princeton’s commitment to our customers never wavers. We ensure that all of your Porsche maintenance and repair needs are well-taken care of. Lawrence Township is located in Mercer County. The township was named after Captain James Lawrence. He was a naval hero and the commander of the USS Chesapeake frigate. He fought in the War of 1812. Lawrence Township is comprised of Rosedale, Louisville, Harneys Corner, Colonial Lakelands, Bakersville, Quaker Bridge, and more. Most of Lawrence Township’s residents refer to the entire township as Lawrenceville. Lawrence Township borders other Mercer County municipalities, including West Windsor Township, Trenton, Princeton, Hopewell Township, Hamilton Township, and Ewing Township. Some of the township’s notable points of interest include the Lawrence Historical Society, Brearley House, Quaker Bridge Mall, and Port Mercer Canal House. Check out the driving directions from the various locations listed below.